Sorry, no review of Assassin's Creed II: Discovery yet. 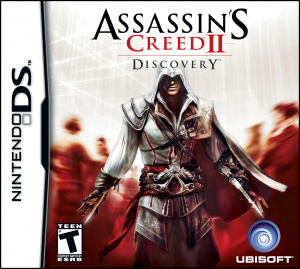 Discover an untold chapter from the Assassin’s Creed II storyline. Follow Ezio as he travels to 15th century Spain to rescue fellow assassins being held under the guise of the Inquisition, only to uncover a Templar plot to sail west and discover the New World.